Morgan Marcell is a force. You might know that from hearing her on the Hamilton cast album, seeing her on Broadway, or maybe you saw her on TV that time she performed at The Grammys. I know it because I met her backstage at Hamilton once where her smile literally changed the electricity in a room already lit up with stars (and cake). I also know it because of Instagram. Shortly after meeting Morgan I followed her on Instagram, and what I saw there over the next few years is what this interview is all about. Because every day it seemed like Morgan was rocking a new Broadway stage, leading others as a dance captain on one hit show after another, or directing a documentary for the Smithsonian, the trailer of which left me in tears. Her life seemed more than just “Instagram good.” It seemed pro-artist good. And it was obvious she was putting in the work. What led her to this dynamic life as a professional working artist? How did she get a dream job like Hamilton? How does she keep getting so many amazing jobs and opportunities, one after the other? And how did she go from Broadway debut to directorial debut in just a few short years? That is what I found out, and I hope her journey inspires you to move closer to your dream debut. It might be more possible than you think. Here’s how Morgan did it. Morgan’s first words to me are an apology. She lets me know that she recently got called in to be the dance supervisor at Hamilton in Chicago and our call ends up being around their dinner break. I smile as I remember when I first met her in the backstage melee of The Richard Rogers Theater in New York; it was oddly similar to a typical office break room. I mean, sure, there were people wearing Very Poofy Sleeves, and a couple feet away Lin-Manuel was singing the words he wrote…but there was also cake. Lots of cake, just like there was in my old office break room, when I had that kind of thing. There were also professionals in that break room, just like any other. Very Poofy Sleeved professionals, going to work, doing their job, running a show. It feels perfect that I’m interviewing Morgan while she’s eating in another Hamilton break room. She’s at her job. Doing the work. But she didn’t always plan on this being her job, though the seeds of it - art, directing, and leading - were always there. When she was 12 she wanted to do what Steven Spielberg did; she wanted to be a director. Step 1: Major in political science. Step 2: Go to law school. Every artist I’ve ever met has this in common: they pursue growth. When they don’t feel like they are growing, that’s when they know it’s time to leave. But leaving is still very scary. It makes sense to walk away from a very terrible situation, and very brave. But it’s also brave to walk away from a “fine” situation. Things were going just fine for Morgan. Walking away from “ just fine” is terrifying. Murky. But that’s just what Morgan did. And Britney Spears is to blame. Morgan tells me how Britney was the initial inspiration for the way her path took a drastic turn after that first year of college. “My friend sitting next to me is laughing at me right now,” she jokes as she tells me the Britney story. Morgan grew up taking dance classes like ballet and jazz, but everything changed when she saw her first Britney Spears music video. She had never seen dance incorporated like that, and she was captivated. It became more than entertainment to her - it was proof that dance could be a job, and a relevant form of pop culture. She started researching and discovered the Michael Jackson's Smooth Criminal music video next. She turned that video into her master class. She watched it over and over again - pausing and re-winding - teaching herself the choreography, pause by pause. Morgan studied the professional dancers in these videos and wanted that to be her job too. This was the dream that tugged at her in the middle of her political science pursuits. She was getting straight As, but she wasn’t moving towards what she really wanted, and she finally knew it. She had a long talk with her mom about leaving college to pursue a career in dance. I can almost feel her mom’s heart stop a little - even knowing how well this decision turned out for Morgan. Neither she nor her mom knew how things would turn out, and a degree in law is an almost guaranteed-way-of-paying-the-rent compared to a career in dance. It was a very scary thing for Morgan and her mom. But most of the best things are. She told her mom that she really wanted to go for dance in a serious way - that she wanted to be in the industry, that she wanted to study dance full time as a professional in the field, with the same kind of dedication she put towards law. It was a declaration of sorts. She declared that she wanted to be a professional artist, and in doing so staked a claim into the air that being one was a viable option. Morgan left her just-fine college career and moved to Los Angeles. 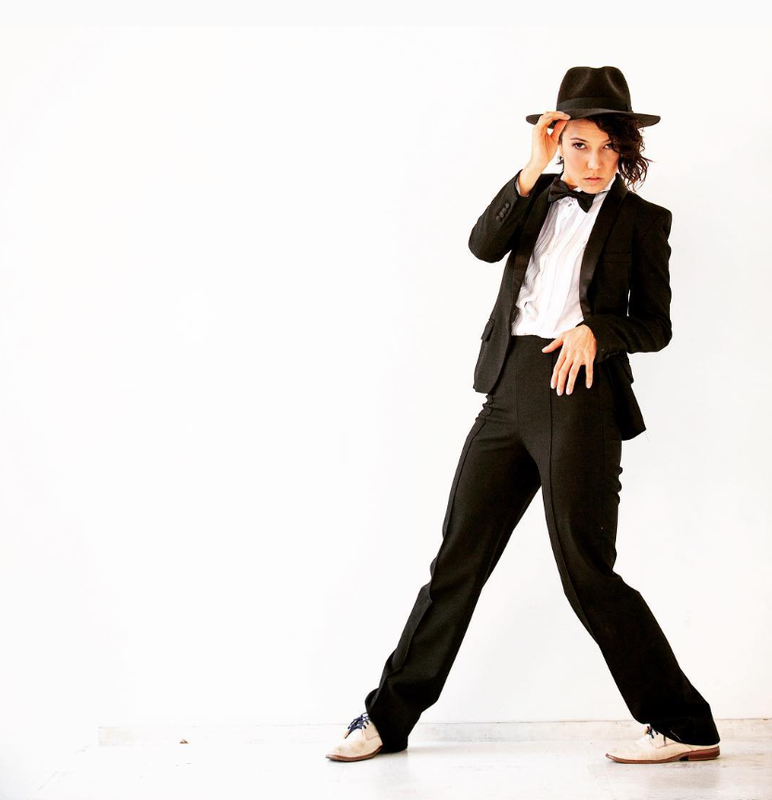 Morgan didn’t expect to walk right into an LA audition and start making a full-time living as a professional dancer. She understood what all pro artists understand – that even if you might not go to a traditional college, it does not mean your art doesn’t require as intensive of a curriculum, if not more so. Can we let that sink in for a moment? And this is only the foundation to get a professional dancer in the door, the bare minimum required to get a shot. If you’re pursuing art as a profession, it’s an advantage to be obsessed with it - to love it so much that you’re willing to put yourself through your own designed study hall, again and again and again. After all her intense study, Morgan started to get work, such as getting hired as the dance captain for the first national tour of In The Heights (Lin-Manuel Miranda’s first Tony-award-winning Broadway show). Morgan originally auditioned to be a dancer on the In The Heights tour, not the dance captain. But once they saw her audition and met her, she was offered the role of captain. I wasn’t in the room, so I don’t know what they saw in Morgan to make her dance captain, but I’ve been in a room with Morgan before and seen her on stage, so it’s pretty easy to guess what they saw - a leader. What makes Morgan a natural leader, captain, and director, is that she really sees people. She is the kind of person you want to put in charge because you know she will both care for others in a way that motivates them, and also hold them accountable to the incredible standards she has for herself and a project. Through working on projects like In The Heights, Morgan caught the musical-theater bug; she immediately added vocal lessons to her ongoing curriculum. Then she moved to New York City with a new dream: to be on Broadway. She kept training in New York, and kept showing up, not only to the shows she was in, but also to the shows she wasn't, immersing herself in her craft. Morgan thought this was hilarious at first. “I’m sure she says that to everybody.” But when Stephanie told Morgan there would be Broadway auditions in a few weeks, Morgan smiled and asked Stephanie to let her know when those auditions would be. Morgan figured, what could it hurt to audition? Morgan was initially offered a contract to be a “Vacation Swing” for Hamilton on Broadway. A vacation swing is kind of like an understudy for the entire ensemble; they have to be ready to step in for any ensemble cast member should they take a vacation or be unable to perform for medical reasons. 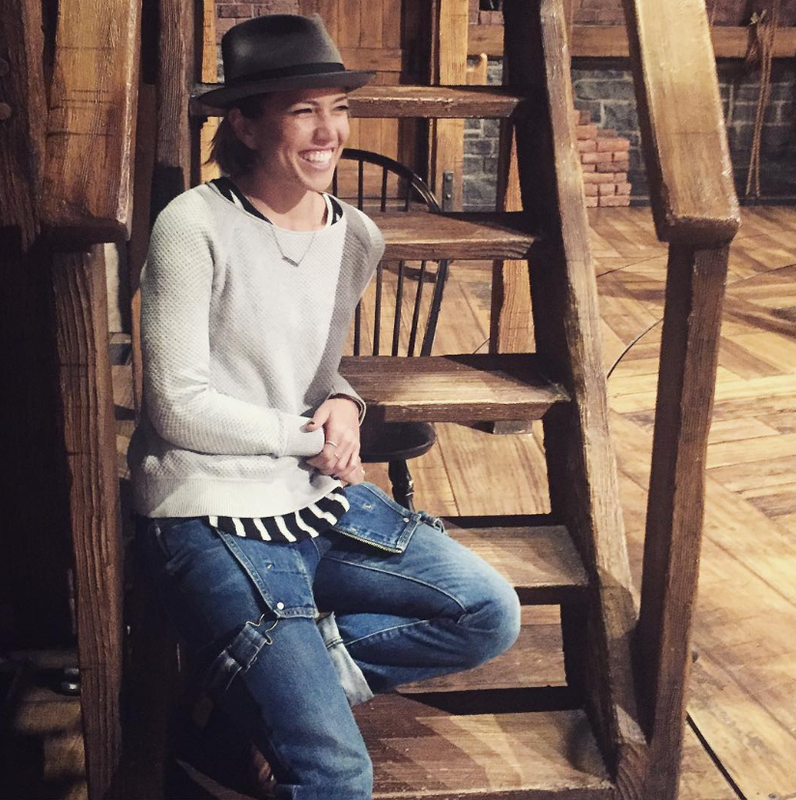 When you’re a working artist, any job – especially on Broadway – is a good job. And Morgan knew that. She really wanted to be included in the original cast if she ever made a Broadway debut. You only get one, and she wanted hers to be as an original cast member. But she was already offered a contract to be a vacation swing. It was time to decide. Morgan could have said yes. However, because of her quick run-in with Stephanie, she was also offered to audition for another track - to be in the original cast ensemble. So instead of accepting the first offer, she took a risk and kept auditioning. She made it to the final callbacks. She danced again, and then prepared to wait the many days it usually takes to hear anything. But Morgan’s phone rang that very afternoon. She got the job, and she would make her Broadway debut as an original cast member of Hamilton. She knew the show was special, but she didn’t know then how her voice would live on forever on a cast album that would impact millions, or that her first footsteps on that spinning stage would be the start of a cultural phenomenon. She was just doing what she always did: learning, immersing, auditioning, and dancing her life away. A true pro answer. A pro does not stop working hard when the dream becomes reality – in fact that is the moment when everything is required, the final test. The realization came later, when her parents came to see the show. After the show, Morgan walked her mom backstage and through the narrow corridor that leads to the spinning stage itself, where cast members talk with friends, family, and celebrities after each show. Morgan’s mom could barely walk onto the stage because she was crying so hard. When Morgan saw the pride in her mom’s eyes she also saw the magnitude of her dream for the first time – all the lessons, sacrifices, risks, all paying off in this one moment. Life doesn’t always work out like that – but sometimes it does. And moms must be hugged. Morgan and her parents backstage at Hamilton. Hamilton was kind of a big deal, and Morgan was a part of all of it – celebrity meetings, award show performances, and press galore – but what Morgan was really drawn to was the attention from the Graham Windham orphanage, the orphanage started by the “real original” Eliza Hamilton. One week during the first year of Hamilton, the actress who originated the role of Eliza, Phillipa Soo (known to friends as “Pippa”) was approached by the Graham Windham to have dinner and talk about possible collaborative projects. On the night of the scheduled dinner, Morgan saw Pippa in the hallway and asked her what she was doing for dinner. Pippa told her about the dinner with Graham Windham. “Can I come?” Morgan asked. Pippa said yes, and Morgan brought more than her appetite – she brought her ideas. From that dinner, The Eliza Project was born. Together, Morgan and Pippa developed pen pal projects and artistic workshops and myriad events where the cast inspired the next generation of artists and storytellers. Pippa and Morgan. From @morgankei. Morgan jumps in. She doesn’t wait for everything to be perfect. It’s one of the reasons I postulate she is a successful, full-time, working artist. Her eyes are always wide open - not towards where she can get ahead, but towards where she can make an impact, where she can make a real difference. And when she sees an opening, she jumps. Morgan jumped again when The Smithsonian approached her and Graham Windham to ask for something that represents The Eliza Project to be donated to their upcoming exhibit on Hamilton and philanthropy in the arts called Giving in America. Remember that Morgan wanted to be Steven Spielberg when she was 12? That dream never went away, it was just silenced for a while. Her love for film was with her always, and, to only a few trusted friends and family, she shared her dream of directing a film one day. One of those few trusted people was the director of Hamilton, Tommy Kail. Every artist needs a Tommy Kail. 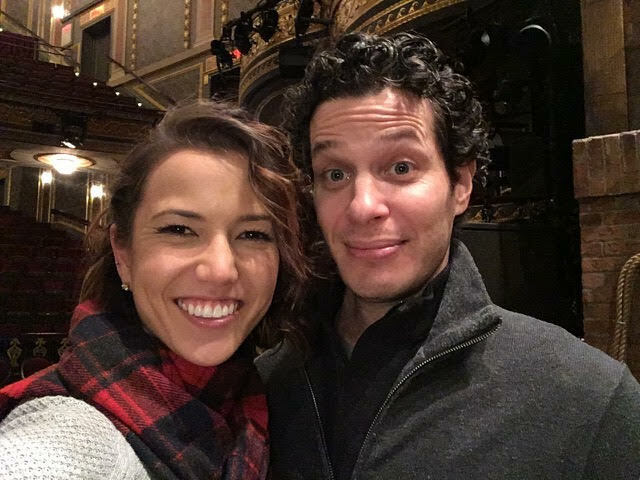 I haven’t met Tommy, but after reading in multiple places about his effect on the pace of Lin’s artistic production (this tweet is a perfect example), and what Morgan tells me next, I’m convinced that every artist needs at least one Tommy Kail in their life – one person who really sees you, who gets your art, and who understands its full potential in the world - and gives you the tools to bring it out, fully giving you the space to do your best work. “No way that’s crazy!” was Morgan’s response. I ask Morgan what gave her the courage and she cites Ryan and Tommy; there is nothing quite like the encouragement of friends and mentors, and as much as we’d like to be able to do it all on our own, I have yet to meet the pro artist with that story. Morgan pitched the documentary idea to The Smithsonian and they loved it. She was given funding and a crew and she got to work doing something she’d never quite done before. And once she made the leap, it was all smooth sailing from there and she wasn’t scared at all. “It felt crazy in those first few months because I had no idea what I was doing,” Morgan remembers. “Here I am directing my first documentary and I’m telling Lin-Manuel Miranda and Renèe Elise Goldsberry what to do even though I don’t really know what I’m doing here. It was an insane and crazy and very humbling place to be. This was the opposite of the 10 hours a day, six days a week for years strategy. This was: see an opportunity, jump, and learn along the way. Both are great strategies. The first is the one you can control, the one to lean on. The second is the one to do whenever the opportunities present themselves, or whenever you see a way to invite yourself to dinner. Before Morgan finishes her dinner and gets back to work as dance captain at Hamilton Chicago, I ask her one last question; I ask her if she has any advice for anyone wanting to make that leap towards taking their art seriously, but who might be struggling to find the space and time among their other commitments. Being the renaissance woman she is: dancer, actress, singer, captain, choreographer, director, how is she doing all of these things at once, at the highest professional levels? How does she find the time and space to direct a film while also managing a demanding 8-shows-a-week Broadway schedule? Morgan directing her first film for The Smithsonian. @morgankei. Her answer is one of integration. It seems simple enough, but her answer is about more than just being ready to do your art whenever inspiration strikes – it’s about commitment, it’s about choosing it as a lifestyle. “When you start carrying the tools around with you always you start finding inspiration in more and more places. It takes it from being “This Serious Thing” you do only in its designated hour to being something you incorporate into your everyday life." I smile as I think of the tools I always have in my proverbial backpack: my phone recorder, a pen, and a notebook. Those are the tools that led me to Morgan. And I cannot wait to see where her backpack leads her next. Or yours. Want to be like Morgan? Join the #keepgoingclub for weekly inspiration to help you keep going towards your dream.